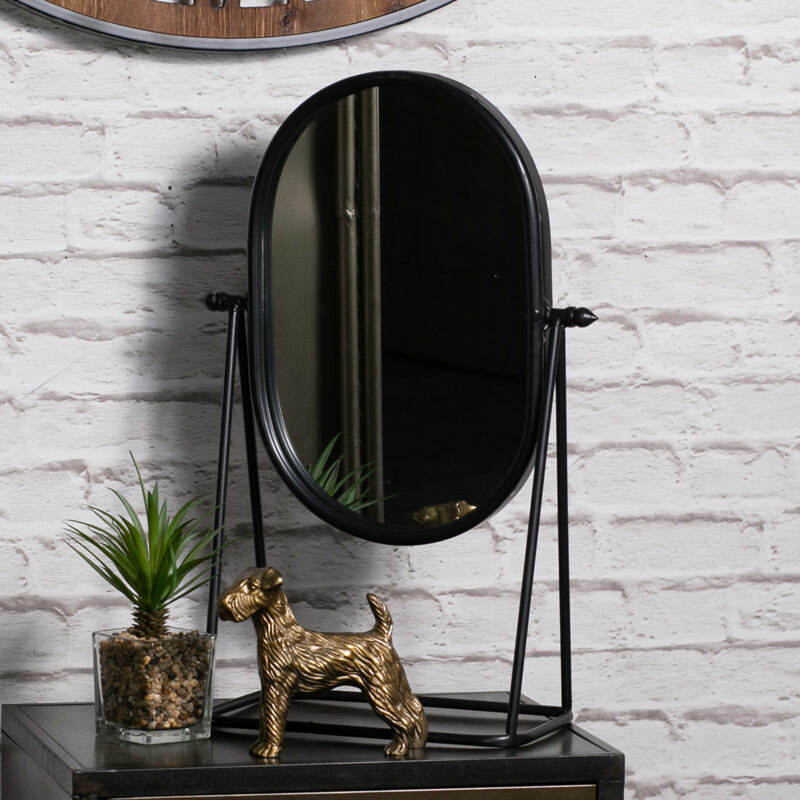 Black metal vanity mirror in a retro, industrial style design. 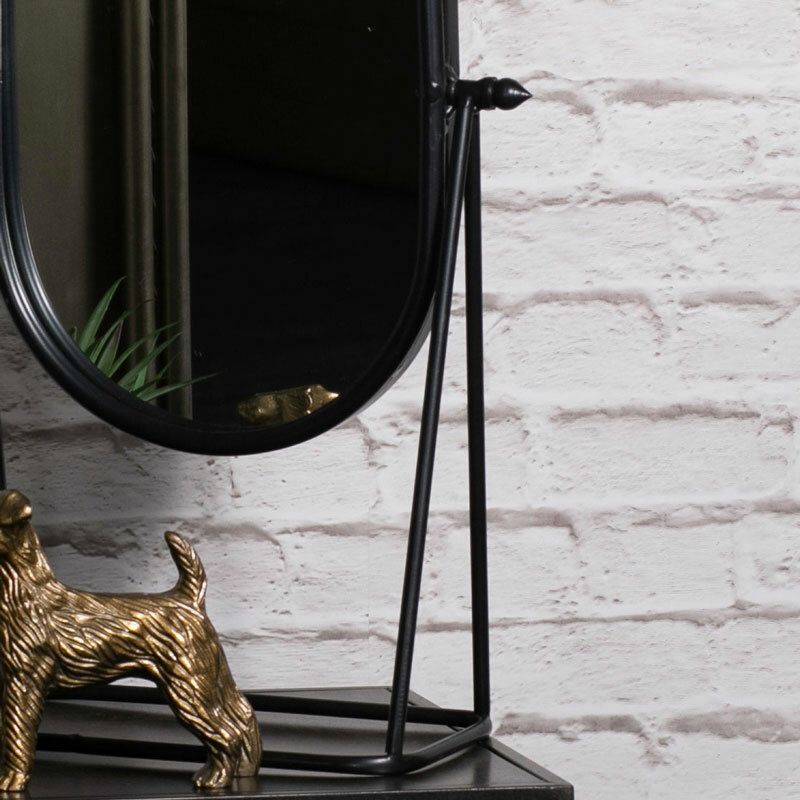 Ideal little tabletop vanity mirror for the bathroom or bedroom. Oval swing mirror held in a metal frame. Sturdy design that will easily sit on a dressing table or shelf. Mirror tilts to adjust to just the angle you need. A great gift idea for Father's Day.